Don’t try to make sense of Life. You can’t! The moment you think you have understood Life, that you have a handle on how it works, you are finished. You have then written your own warrant to live the rest of your Life – imprisoned by your suffering and depression. There’s an old Hindi song, sung by the immortal Kishore Kumar, that goes: “Zindagi ka Safar….Hai yeh kaisa Safar….Koi samjha nahin, Koi jaana nahin…” (Safar – Journey; 1970, Kalyanji Anandji) It means that Life is a journey that is inscrutable – no one knows it, no one understands it! This syncs with what a Siddha Yogi, who I met some years back, told me: “Only a fool will try to understand Life! The intelligent will simply live it for whatever it is!” Two stories I read yesterday only reinforced this learning in me. The first one is of the celebrated painter Vincent Van Gogh (1853~1890). He lived and painted in abject poverty. He was so poor that he could eat only 3 days a week. Nobody understood him. Or his paintings. And so none of his paintings were sold in his lifetime. His brother would give him a weekly allowance to subsist. Because Van Gogh was passionate about his art, he would use some of this allowance to buy his canvases, brushes and paints. Which meant he could only eat three times a week. He looked haggard always and people around him thought he was mad. One day, his brother, unable to bear Van Gogh’s plight, set up a friend to go purchase a painting from him so that Van Gogh would find the motivation to bounce back in Life! The friend had no idea of art. And merely saw himself as a person sent to handover the money under the pretext of buying a painting. So, even as Van Gogh excitedly explained each of his works, the ‘buyer’ seemed disinterested and impatient. He merely wanted ANY painting. Van Gogh smelt a rat. He realized that his brother had set this man up. So he asked the man to leave with his money. He was so heart-broken that he committed suicide that day. It was a sad, premature end to a great talent that the world would later worship! Van Gogh, in his short Life is believed to have made over a 1000 paintings. Over 800 of them were lost because no one bothered about them. The remaining 200 are the precious possessions of museums and art collectors – with each of them worth over a few million dollars! Now, how do you explain this? One of the world’s greatest artists dies a pauper, and frustrated, because no one values his work? And the same work today is treated as priceless? That’s so true about Life as well. And about each of us. In a way, we too are mere actors on this world stage. Here now. Gone tomorrow. During our lifetimes, we will have to play different roles. The script will keep changing. And the best way to stay grounded, stay anchored, stay peaceful is to enjoy the uncertainty. Don’t try to make sense of Life. You can’t. 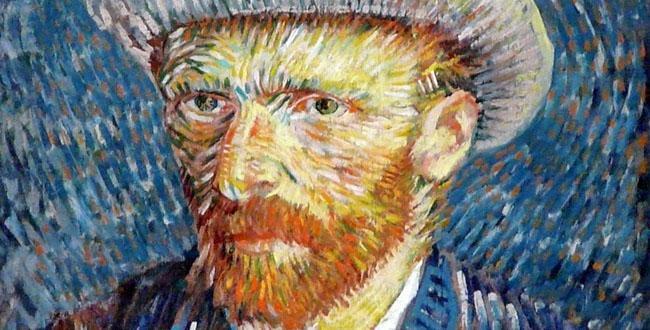 If you try, you will end up where Van Gogh did – depressed, frustrated. If you simply let Life happen to you, you will love the Life given to you and will forever be at peace – with Life, with the world, with yourself! Author AVIS ViswanathanPosted on June 28, 2013 March 14, 2016 Categories Art, Art of Living, Frustration, http://schemas.google.com/blogger/2008/kind#post, India Today, Inner Peace, Intelligent Living, Ranbir Kapoor, Vincent Van Gogh1 Comment on Don’t try to make sense of Life. You can’t!